Aesthetic oriental palace style is the new tendency! Royal Chaos English version is on the market since 5th of July after countless hours of concerted hard works. Within a week, Royal Chaos has gained a bombastic amount of downloaded on the US App Store Top trending searches! The server went overcrowded in just a short duration and its popularity had gone beyond other more well-known mobile games as shown in the picture below. The achievement of Royal Chaos in United States is attributed to its superb game quality. 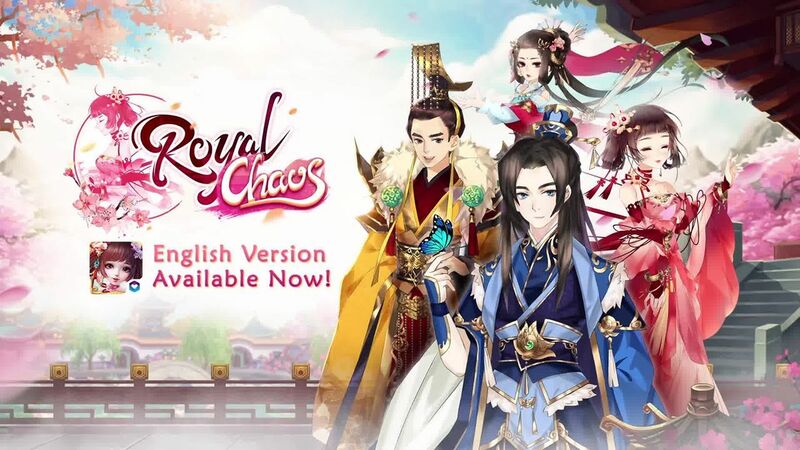 By being the world’s first palace-based 3D RPG, Royal Chaos revisits the common RPG signature elements with the ancient Chinese dynasty settings, exquisite traditional outfits, classic and immersive oriental aesthetics along with interesting PvP battles and persona setting to give a brand new experience to western players. This fantastic result could not be achieved without the great support from our beloved players. To show gratitude, Wish Interactive promises to be more devoted in developing and publishing new and fun Royal Chaos’s contents to all players. Royal Chaos, the greatest royal experience of all!